This demo would talk about some 3D computer graphics background knowledge, and to show how to use WebGL to do 3D transformation and Lambert lighting. In this demo, I develop a WebGL framework named maximus.js to proof the functions which been implemented by three.js. I choose the same 3d coordinate system as three.js, which is Y-up and right-hand system. In the 3d graphics pipeline, the data format of primitive which GPU can accept, They are vertex buffer and index buffer. What is vertex buffer? Each primitive must be constructed by vertices. 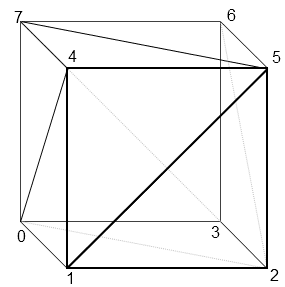 In the case of cube, we create a mesh which has 24 vertices, because it has six faces and per face has four vertices. Index buffer can help us reduce the usage number of vertices. For example, when we want to draw a quad which has two triangle, so we need to define six vertices. But while using index buffer, we just need to record 4 vertices of this quad, and use indices to define as two primitives. This approach can help us reduce massive data while using high-polygon models. In the index buffer, we record [0,1,2,2,3,0] to define two primitives that will search the no.0,1,2,3 order in the vertex data in the GPU primitive assembly stage. In the 3D space, we must use lots of Matrix transformation. 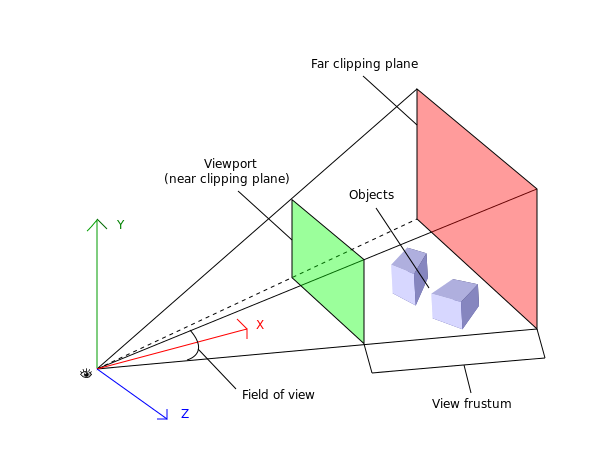 In this figure, we describe we want to transform our objects to the near clipping plane which is the final 2D screen space. Every model has its own modelToWorld matrix to transform to world space. While a camera moving in a 3D scene, the camera has its own camera view matrix, and the screen space define the projection matrix. Therefore, we use this formula to transform model from object space to screen space. Graphics pipeline has several generation, From fixed-function, shader model pipeline, deferred rendering, to physical-based lighting. In this WebGL demo, this is a basic shader model pipeline. We have to send vertex and fragment shader to link program. There are three types of variable we need to know. Attribute means the vertex input from vertex buffer data. This has its own order based on vertexPositionAttribute. Varying means the vertex output of vertex shader, that will be interpolated by Rasterizer and be sent to pixel shader. Lambert lighting is a basic lighting algorithm in the 3D computer graphics. 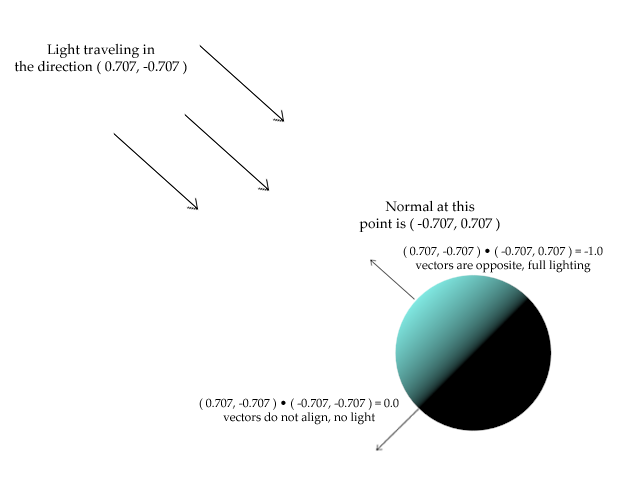 It just has to compute the dot of light vector and pixel normal vector. If the angle >= 90, that means no lighting, else it has lighting. Finally, I write the same demo by using three.js. It becomes so simple. We just need to the several lines code like this. 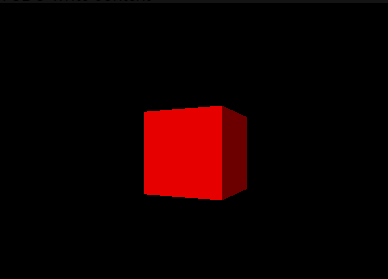 renderer.render( scene, camera );  // render the meshes of the scene using this camera viewport.